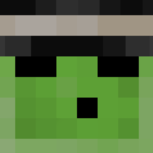 Henk: Sounds good, it'll help us develop our custom modpacks easily and share with everyone with the addition of client side patches and a news section to increase everyone's experience on the server. There was a lot more than that but this is basically the summary ? And so it began, I embarked on the task to get it done after my exams (well, a tad bit after but oh well) and it went great! Albeit, it took me a couple of days to learn the ins and outs of this but it should contain almost everything you need for your experience on the server with the addition of optional custom Optifine and A LOT of other fancy features which i'm sure you all will enjoy. Best thing about this is that even cracked players can use this launcher! The modpacks available in this launcher are all of the ones we are currently hosting right now and will be updated whenever an official FTB update is released. 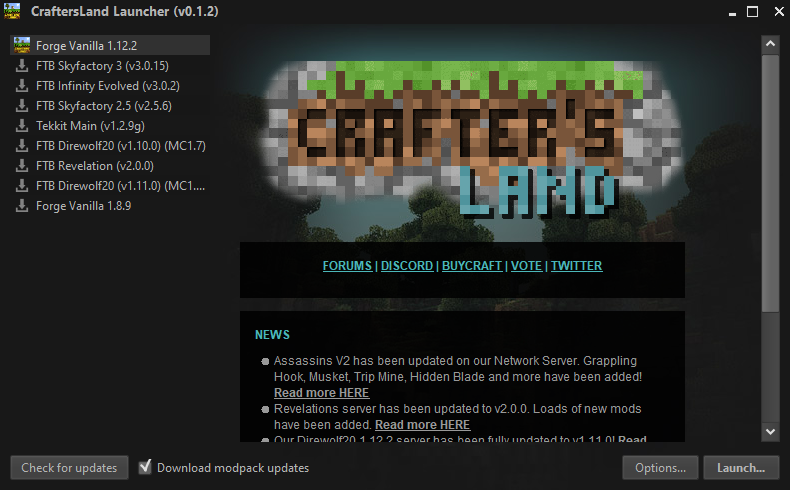 Don't worry, you won't have to do anything to update the modpacks, the launcher does it by itself! This launcher is also capable of smart-updates, meaning that you don't have to re-download the entire modpack whenever a new update comes out. For all of you who play on our Network server out there, you are not left out either. I added in 2 "Forge Vanilla" modpacks which are MC Vanilla version 1.8.9 and 1.12.2. These vanilla minecraft instances have a lot of optional mods which you can choose and the server IP's are already included in them so you can launch these and join the server without any fuss. 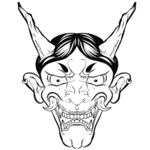 Support for both Cracked and Premium accounts! For cracked players, enter your name and click "Play Offline". 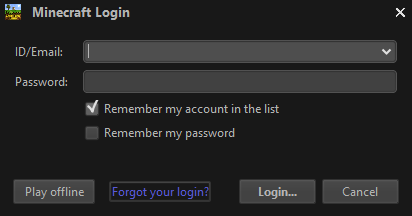 For premium players, enter your ID and Password and click "Login..."
Custom Recipes on our Revelations, Infinity and Skyfactory 2.5 have been added client-side, so you all can view these recipes in NEI aswell. Note: There are 2 types of launchers, normal and portable. Normal one will download and install the modpacks in your My Documents folder (C drive). Portable one will download and install the modpacks wherever your launcher is (do not delete portable.txt else it wont work!). Note: For Mac and Linux, use Universal Normal or Universal Portable. 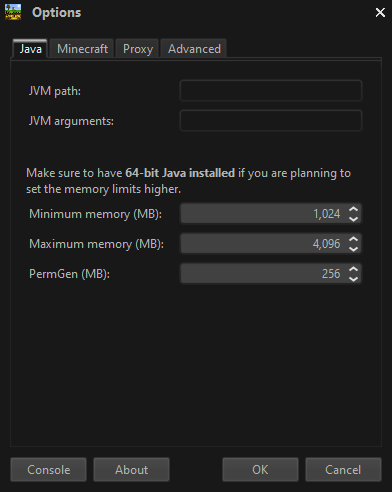 Note: Java 9 and Java 10 will NOT work for this launcher, please use Java 8! When I was staff we had a chat about this with henk if I'm not wrong, but never thought it would become an actual thing, that it was just an idea. Well, gonna download it right now. Thank you!! Be sure to let me know how it goes :). I don’t really see a reason I need this, but it’s really cool that you’ve done this! Now just collab with cheatbreaker and you’re sweet! Beautiful highres craftersland logo right there, some genius must’ve made it. 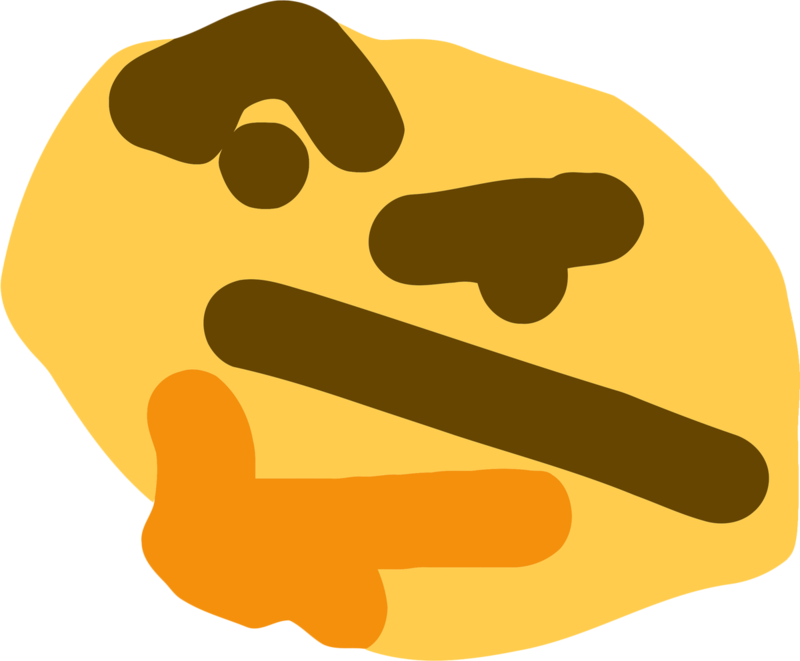 but is it worth getting rid of the twitch launcher? That depends on you :). The modpacks in this launcher have been tweaked so that you won't experience a lot of technical issues related to custom recipies etc. E.g On our infinity server, there are a lot of custom recipes to counter banned items (due to dupe bugs). In order to see these custom recipes, the player has to install the scripts in his client too unfortunately .This is where the CL launcher shines and already does this for you. It may not look that aesthetically pleasing than the twitch launcher but this is something I will work on when I learn enough java coding :). 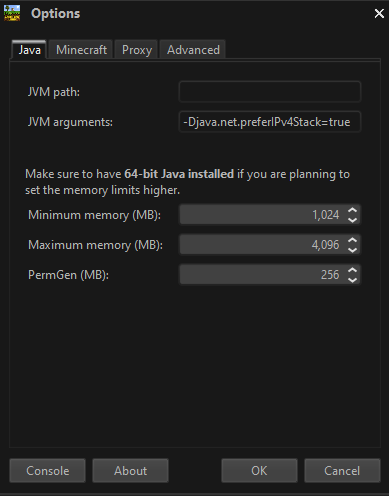 Found the issue installed Java 8 and uninstalled java 10. Never mind, I fixed it. If anyone runs into this error, make sure your antivirus is not mucking with your SSL certificates. I had to reinstall Java when I first downloaded the launcher, made sure I used Java8 so thats fixed. I'll reinstall the launcher and modpacks again, for the third time, to try. I'll let you know, might be interesting as well that I'm on a mac. 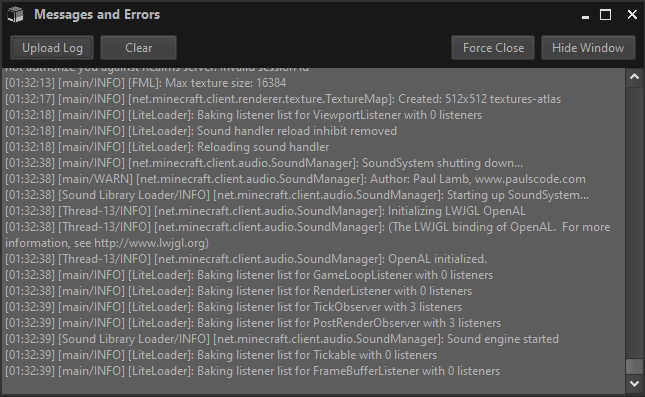 I reinstalled the launcher and modpacks, getting the same errors..